Ever since I saw Phillip Lim at his spring/summer 2012 show in his dip dyed pants I’ve been intrigued by the look. It just gives an outfit a very interesting new dimension. 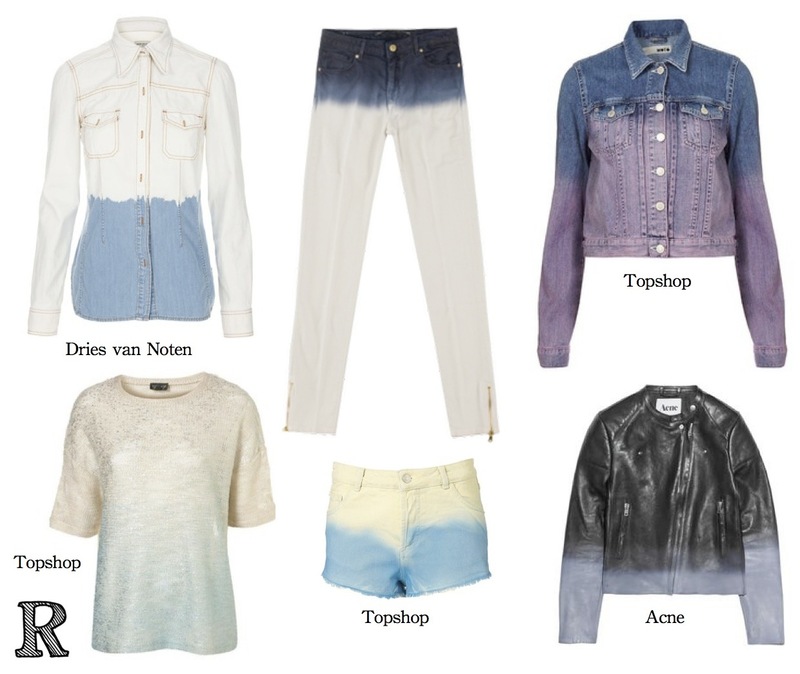 And now dip-dyed pieces are popping up everywhere.. But then this is the perfect trend for people like me who are into arts and crafts. I have already dip dyed a tank top and I bought bleach (2,50€ at any drug store) yesterday to dip a pair of denim shorts into. 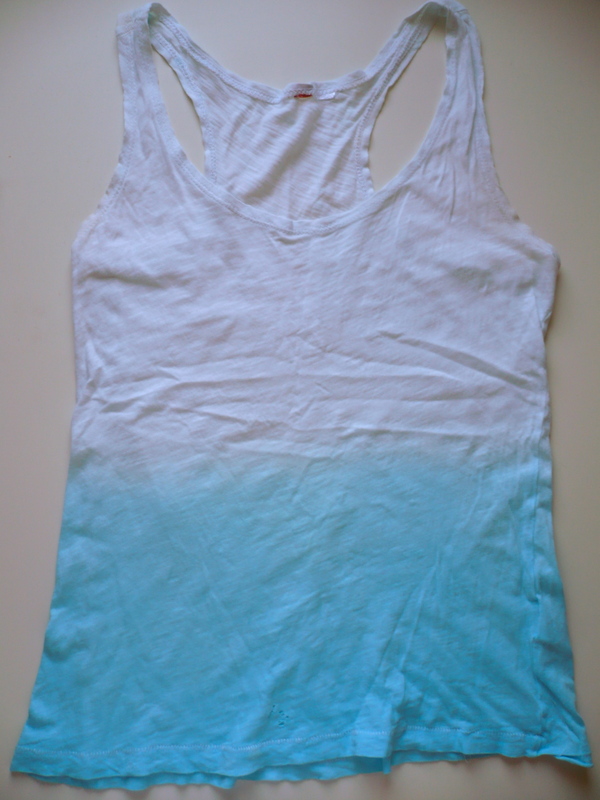 There’s really no excuse, if you buy dip dyed garments you’re lazy.